Destiny Limousine Surrey BC White Rock Langley Abbotsford Delta is handling your limo rental Vancouver needs around the Vancouver BC and Fraser Valley Area. 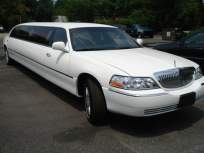 Surrey Limousine offers best services at affordable rates City tour Vancouver Wedding Limo Vancouver airport transportation Graduation Punjabi Wedding, Prom and event transportation services. CALL US TODAY for your Surrey Limousine Reservation (604)-597-9040 or Email at: destinylimousine@gmail.com Satisfaction Guaranteed!